My father taught me how to drive a vehicle. He showed me how to target my gaze far down the road while scanning closer sections to avoid upcoming hazards. Good advice for driving and living! “… The Lord our God, the Lord is one. and with all your soul and with all your mind and with all your strength. The second is this: ‘Love your neighbor as yourself. Jesus sets our goal. In fact, there is no greater focal point or personal life target! My older brother and I would often head off into the bush on the farm where we lived and craft ourselves bows and arrows out of a fresh-cut willow and an old piece of baler twine. Rarely did they shoot as far or as straight as we had anticipated. Targets were difficult to hit! I often miss the target to love the Lord fully and love others genuinely. What does God mean to love in this way? Affection is loving with tenderness, devotion, caring and strong sense of attachment. It also includes friendship, fondness and generally liking someone. Sometimes when there is slight rift in our marriage one of us might say, “I love you, but I don’t like you right now!” Though this little phrase may serve to lighten the atmosphere, it really is an oxymoron. To love with all our heart opens our eyes to see people through God’s eyes. but He could make the way. To love when confusions invade and doubts soar! To love with all my heart! When it comes to emotional honesty, our grand-daughter “A” takes the award! Whatever her current status, she is all in! You don’t need to guess what she is feeling at any particular moment. “A” feels and communicates her emotions transparently. Always! To love God with all our soul requires emotional honesty. To give Him, with childlike fullness, the truth in how we are feeling. The Lord is big enough to handle our anger or confusion. He never asks us to contain our enthusiasm or repress our delight. Our relationship with Him is solid! He is neither frightened or repelled by great fluxes of emotion. God’s love and faithfulness is steadfast. 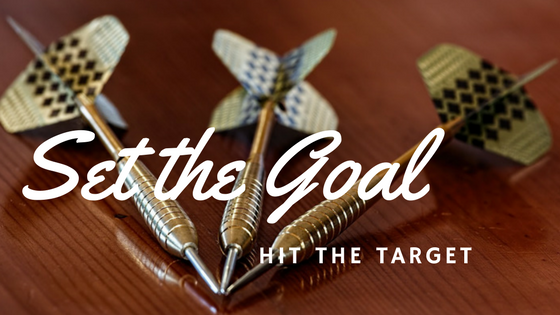 To hit any target, or reach a goal, it requires our full attention. I am woman! My mind is never on one thought! Men have “box” perspective, an incredible attribute of being able to fully focus on one thing, or even nothing at all. I find this amazing if not completely unbelievable. Male or female, to love God completely is to focus all our attention on Him alone! A cheetah is the fastest animal on land, but it cannot maintain those speeds long. He fixes his gaze completely on the target with relentless focus. His life depends on it! His family’s lives depends on it! My world is full of distractions screaming for immediate attention. It takes concentrated effort to turn the volume off, close the doors and pull the blinds to attention grabbers. Not just because I am female, but because I am human! Nothing is more important, than time with God! No one is more deserving than my undivided attention! My spiritual life and the lives of others depends on my ability to love the Lord so fully that distractions do not pull me away. It really is that critical! To love the Lord with all my strength is simply giving back to him and others every ability and talent He has given me. In some areas, I am stronger than others. Even my yielded weakness in Christ produces incredible results. Foolishly, I am often unwilling to tackle areas of personal strength because I don’t want to appear better than others. Sometimes I am reluctant to engage in areas where I know I am weak, not wanting to embarrass myself. Either way, I am not loving fully. To love God with all my strength, is to completely engage in life. To be fully me – the way He created me! Setting a goal to love is like focusing on a target beyond all human possibility. Nevertheless, it is what we aim for! Like my brother and I during our childhood play in my father’s pastures, I pick up whatever pieces I can find, fashion a bow and arrows and aim. One day I will shoot straight and with strength to hit the target of love! You are welcome the growing tribe of followers here! Mercy, Peace and Love – Jude Contending for the Faith!